This holiday season there is no need to be stumped for the perfect gift for Gator friends and family. Shoppers can give critically acclaimed books, tickets to a pre-Broadway world premiere or a bottle of bubbly to toast the New Year -- all with a connection to an SFSU alumnus or faculty member. The following gift ideas showcase the creative spirit of alumni and faculty. The holidays are a great time to curl up with a good book written by an SFSU alum or faculty member. Here are a few suggestions for the Gator bibliophile on the gift list. Po Bronson (M.A., '95) shares extraordinary stories from ordinary people in "Why Do I Love These People? : Honest and Amazing Stories of Real Families" (Random House, 2005). The book's focus on family ties makes it a great gift for most anyone -- especially a grandparent or a couple just starting a family of their own. "Mozart and Leadbelly, Stories and Essays" (Knopf, 2005) is the perfect gift for fans of author Ernest Gaines (B.A., '57). In this book Gaines discusses the inspiration for some of his greatest work including the real-life murder case that gave him the idea for "A Lesson Before Dying." 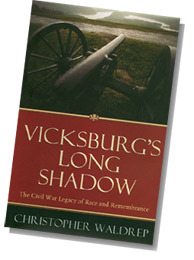 History buffs will appreciate Professor Christopher Waldrep's latest book, "Vicksburg's Long Shadow, the Civil War Legacy of Race and Remembrance" (Rowman & Littlefield, 2005). The book offers a careful examination of the Battle of Vicksburg as a turning point in the Civil War. Anyone whose pooch is a top priority will delight in a subscription to Bark magazine edited by Claudia Kawczynska (B.A., '80). Using the Bark Web site, gift-givers can add in extras including a copy of Bark's best-selling anthology, "Dog is My Co-Pilot," or a box of dog treats. For those who appreciate poetry, consider "Queer Street" (CustomWords, 2005), the third collection of poetry from SFSU Professor Toni Mirosevich (M.A., '92; M.F.A., '94). The professor's poems and short prose pieces weave together the lives and experiences of people who live on a single street. A matinee is a great way to break up a long day of holiday shopping. "Bee Season," based on the novel by Myla Goldberg, has an unusual gator connection. Richard Gere, who plays the part of Saul Naumann, offers a convincing performance as a violinist, thanks to months of training under Professor Jassen Todorov, SFSU's resident master violinist. For a night on the town, why not treat an Anne Rice (B.A., '64; M.A., '72) fan to the pre-Broadway world premiere of "Lestat"? Based on the star of Rice's best-selling vampire chronicles, the performance features the music of Sir Elton John. While Lestat is known for his immortality, tickets to his show at San Francisco's Curran Theatre, from Dec. 17 through Jan. 29, are sure to sell out quickly. The latest "Family Guy" DVD, "Family Guy Presents Stewie Griffin: The Untold Story," makes a great gift for followers of the animated comedy starring Alex Borstein (B.A. '92) as Lois Griffin, mother of maniacal baby genius Stewie Griffin. Meanwhile, Moviegoers can also find Borstein playing the part of Natalie in the film "Good Night, and Good Luck" starring George Clooney. "Frasier" fans can relive the last days of the hit NBC sitcom with "Frasier, The Complete Final Season" on DVD. A gift with a double Gator connection, the show was directed and produced by Peter Casey (B.A., '75). Fellow alumnus Glen Charles (M.A., '68) created the character of Dr. Frasier Crane when he was executive producer of "Cheers." Chase the holiday stress away with the smooth sounds of one of jazz's greatest tenor sax players. SFSU Artist-in-Residence Branford Marsalis teams with Harry Connick, Jr. on "Harry and Branford: A Duo Occasion," a new DVD from Marsalis Music. Delight anyone with a sweet tooth with decadent treats from Andrew Ly's (B.S. '86) Sugar Bowl Bakery. Madeleines and Petite Brownie Bites are among the bakery's top-sellers, available at six Bay Area Sugar Bowl retail stores and Sam's Clubs and Costco stores nationwide. Those watching their waistlines will be happy to know they don't have to deny their sweet tooth thanks to the healthy cookies and brownies available from Stephen Lincoln's (B.A., '91) Protein Bakery. The cookies recently made Oprah's list of food favorites. While reaching for a second slice of pumpkin pie, it's easy to forget those who don't have enough to eat this holiday season. Why not give to them? The San Francisco Food Bank, led by Executive Director Paul Ash (M.S., '84) distributes millions of pounds of food to hungry people in San Francisco each year thanks to caring people in the community. Convenient drop-off locations across the city are listed on the Food Bank Web site. In addition to an excellent selection of wine, Berkeley-based wine merchant Kermit Lynch (B.A., '67) offers many bottles of bubbly to choose from -- perfect for ringing in the New Year. Champagne makes a great gift -- and so do champagne flutes. Celebrate the diverse backgrounds of friends and family with a set of glasses etched with the word "Cheers" in several different languages, just one of many gifts available through Red Envelope, the San Francisco-based company known for its affordable yet luxurious gifts. Thanks to the creativity of executive vice president Kristine Dang (attended '85- '90), the gifts arrive inside beautiful packaging: red boxes hand-tied with white ribbons. They also include cards detailing the story behind each gift.